Give a voice to Mental Health Service Users! Help by becoming involved in shaping the quality and breadth of our services. Don't sit alone in silence! Our friendly groups for all ages meet monthly to share information and support each other. We'll help you speak up! Building a culture of hope that embodies a belief in peoples own ability to manage and improve the quality of their lives. covering Thanet, Ashford, Dover, Deal and Sandwich. 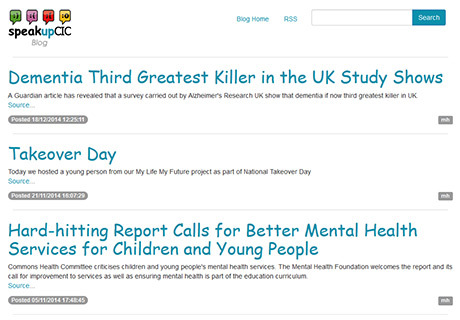 Our new blog page is now up and running. Keep an eye out for new blogs & news posts. but so much easier when I go on our walk. and everyone gets a chance to speak. Don’t sit alone wearing a frown. Cheer up be positive, winter will cease and Spring will arrive. With a spring in our step, the sun will lift depression, and we all come together, and help each other, don’t be alone, friendships can solve the problems. I used to feel lost and alone. Then I joined Maggie’s group and everyone there made me feel at home.